Donate, Volunteer & Shop Your Community Thrift Shop! CAC is your place to recycle gently worn clothing, accessories, home goods and furniture. Items donated to CAC stay in the community and go to people who need it. Clothing that one family can no longer wear is given for free to local families in need. Home goods such as sheets and towels and basic furniture are given to disaster victims such as fire or flood. Plus, all of the merchandise is available in the retail store for the general public to purchase at bargain prices. 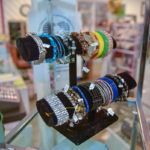 Don’t let the deals fool you, the CAC Boutique is Atlanta’s best keep secret for fabulous finds. New and gently used designer labels and name brand items can often be found. 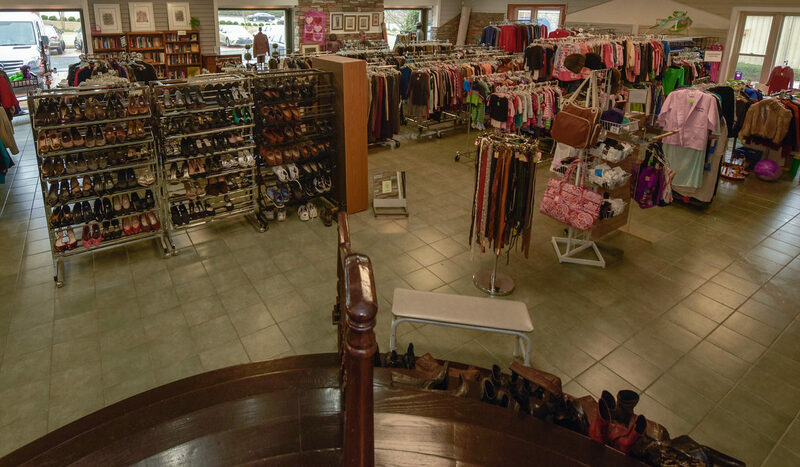 The upscale thrift shop offers everything from clothing and shoes for men, women and children, to kitchenware and furniture. Beverly Evans of Dunwoody has volunteered at CAC for 14 years. She helps accept and sort through donations of clothing and home goods. The sorting team determines which donations will go on the retail floor, hangs, tags and organizes them. Donations that don’t meet CAC thrift shop quality are packaged for family shelters. Twice a week Mrs. Evans gives her time with the same group of volunteers. They enjoy the work, the company and feel good about contributing to CAC’s mission. “I like the fact that CAC is helping people, it’s not just a hand out, it’s a hand up,” says Mrs. Evans. The CAC Boutique is an integral part of CAC’s expansion. 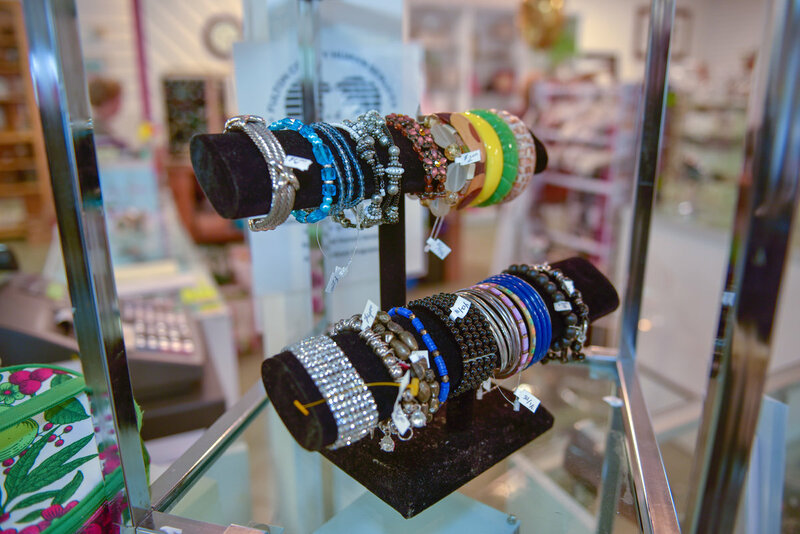 In 2016, CAC moved the Boutique to 8607 Roswell Road tripling the shop’s square footage. 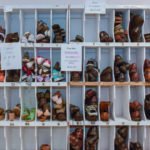 The Boutique provides free clothing to about 4,000 individuals a year valued at about $68,000. In addition to distributing free clothing to clients via a voucher system, the CAC Boutique did about $92,000 in cash sales in 2017. Sales revenue then goes into CAC assistance programs. Plans for the shop include a rebranding effort this year and increasing revenue to sustain assistance programs. CAC prevents homelessness and hunger in our community by helping neighbors in times of need with rent and utility assistance, food, clothing, free tax return filing, youth programs and free adult education opportunities. About 300 volunteers help operate all areas of CAC including 75 who are dedicated to the Boutique. Once the sorters prepare donations for sale, volunteers from the retail floor keep the racks full and organized and serve as cashiers. 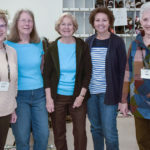 Elaine Wadelech has volunteered at the Boutique for four years. 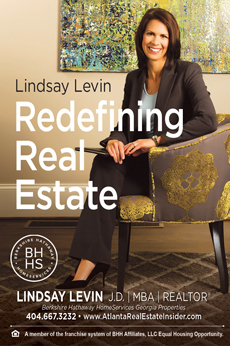 She enjoys working on the retail floor and interacting with CAC clients and customers. She knew about CAC for a long time through neighbors who volunteered. 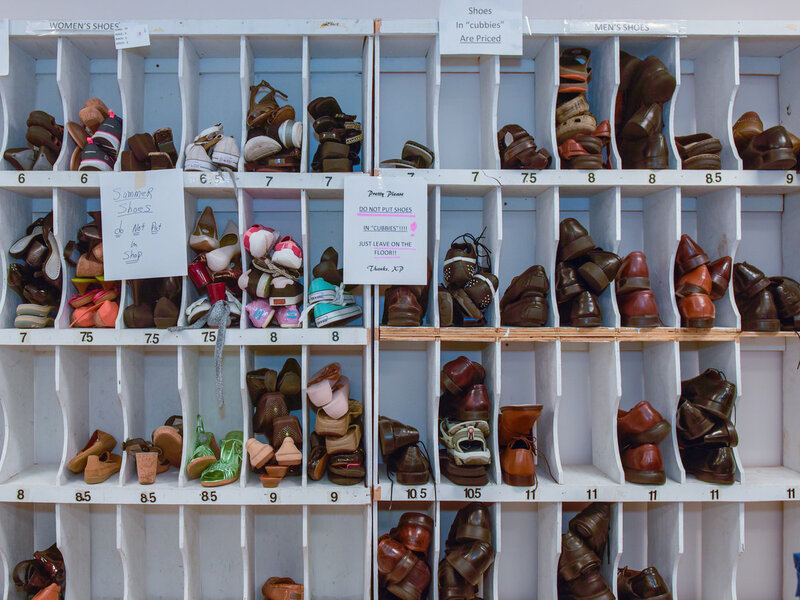 “I like that I can give back to my community by volunteering here,” says Mrs. Wadelech. Everyone can give back in our community by making the choice to donate clothing and home goods to CAC. 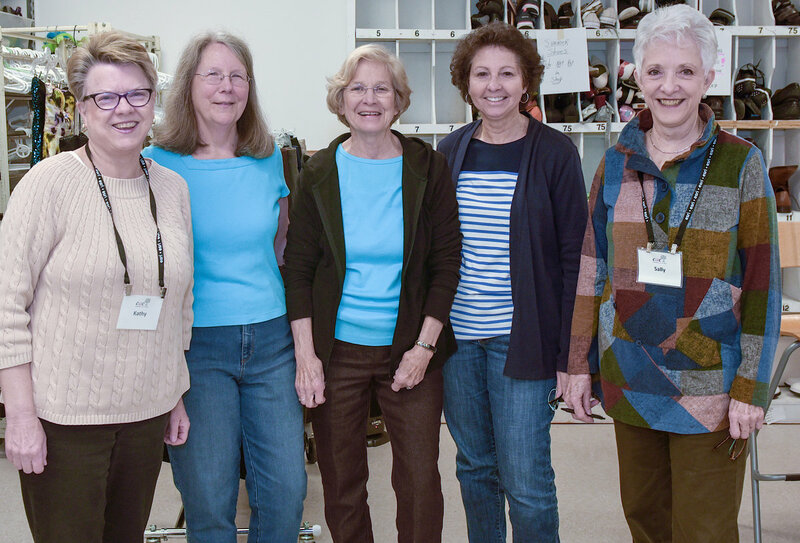 CAC Boutique shopping and donation hours are Monday – Friday, 9 a.m. – 3 p.m. Volunteer opportunities are also available, contact volunteer@ourcac.org. 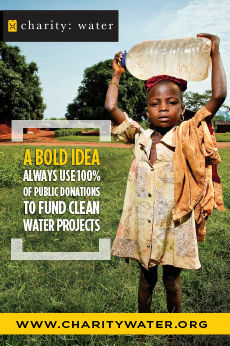 For more information visit OurCAC.org. CAC volunteers range from students to working professionals to retirees. 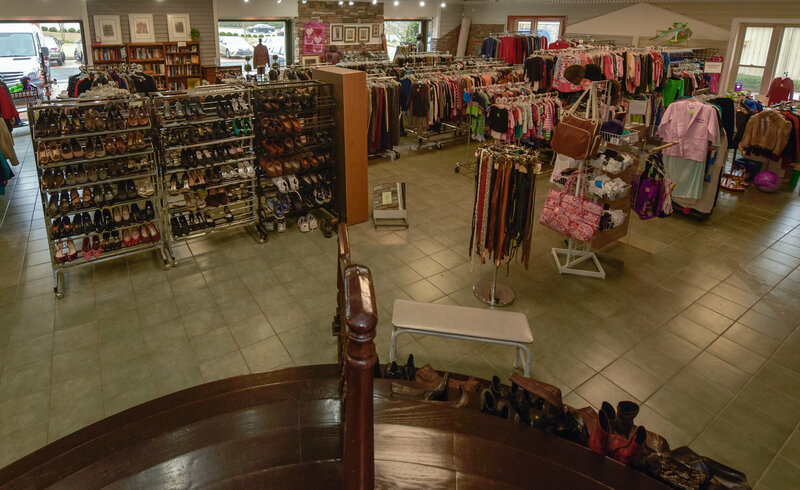 Volunteers operate all areas of the Center such as the donation center, the Boutique thrift shop, the food pantry and reception desk. They serve as client interviewers and adult education teachers. Volunteers also work on youth and seasonal programs as well organize events such as CAC’s largest annual fundraiser, the Vintage Affair. Beverly Evans of Dunwoody has volunteered for CAC for 14 years. She originally came with her late husband after a friend had asked him to volunteer. After a year in the food pantry she moved to the donation center where she has made many friends. Mrs. Evans is retired and enjoys spending time with her adult children and grandchildren.